I found this video online and wrote about it for my latest WOS post. 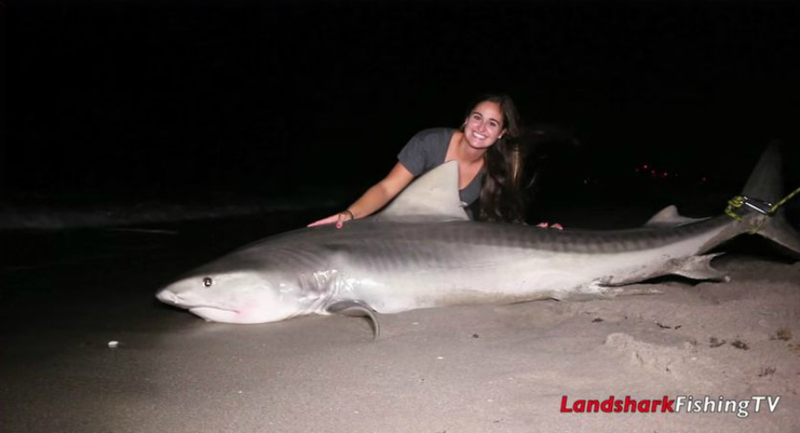 She fights the shark for quite some time and while she has some help landing the big tiger, she gets mad props for being out all night and fighting such a behemouth. iphone screen repair – your comment went to spam. If it is in anyway shape or form seen as an advertisement and not relevant to the site or content it is deleted. Your second comment was approved by me so it showed up after a delay.